Human anatomy is a fun subject, and no matter what the kids want to do when they grow up, it is always good to have some knowledge about your own body. There are many good apps about human body, from anatomy to biology. The wonderful things about apps are the capabilities of 3D visuals and the combination of interactive multimedia materials with sound, video, text, and picture. 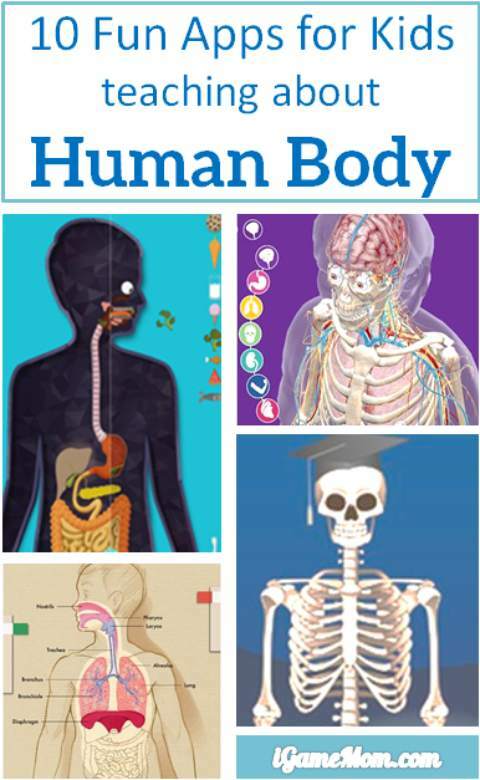 Here are some wonderful apps that are great for kids to learn about human body. My Incredible Body: love the nice pictures and videos, and its layered approach showing the anatomy. It is easy for kids of any age have a overall view of the whole body. The Human Body by Tinybop is a fun interactive app for kids. It is an exploratory app that kids can play around, such as feed the person food, have him drink some water, and kids can see the reaction of the body. Every time we get on it, we find something new. It is a must have. Arloon Anatomy is an anatomy app for school age kids. It has two sections: Learn and Exercise. Kids can learn by systems and then test their knowledge in 3 different types of exercises. D Bones makes remembering the names of bones easier. After learning about the bones, kids can take a quiz. It is available in both English and Spanish. Heart and Lung Lab teaches kids about circulatory and respiratory system. Kids can learn about the systems via interactive features, and then take a quiz to see how much they learned. 3D Brain is a free app showing the brain structure and how each part of the brain controls different actions of our body. 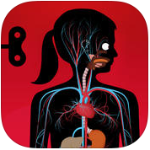 A Heart Pumping Adventure is a storybook teaching kids about the heart and circulatory system. It is a fun one for younger kids. Battle with the Bug is from the same series of A Heart Pumping Adventure. With a fun storyline featuring kids as the main characters, it is a good one for young children. The Lucky Escape also have a good story line, and teaches kids about digestive system. Toca Doctors is a fun one for preschool kids even toddlers to learn about human bodies and how to take care of our body. There is no words, just play, so it is a good one for kids from all different language background. 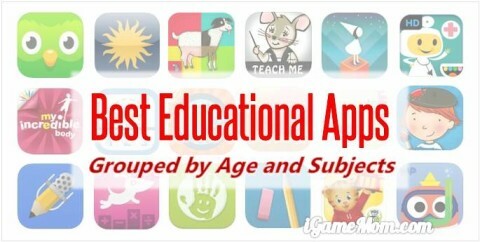 For more educational apps by learning subjects, please visit our collection of Best Educational Apps for Kids by Age and Subjects. Thanks George. This might be a little too much for school age kids, but definitely a wonderful resource for older kids and college students. “This is my Body” for kids from 5-10 features lots of content, nice graphics and even age appropriate experiments. 3D Exploration of the Human Body – right down to the molecular level.